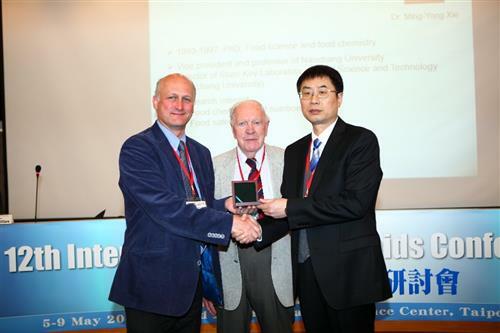 Professor Mingyong Xie is Vice President and Professor of Nanchang University and Director of the State Key Laboratory of Food Science and Technology (Nanchang University). He obtained his PhD degree in Food Science and Food Chemistry in 1997 at the University of Bonn, Germany. He is Chairman of Trace Element and Food Chain Research Association of the Chinese Association of Agricultural Science Societies, Member of the Board of Directors of the Chinese Institute of Food Science and Technology, Vice Chairman of the China Society for Processing and Storage of Agro-products, Associate Editor of the international journal “LWT-Food Science and Technology”, Member of the Editorial Board of Bioactive Carbohydrates and Dietary Fibre, Food Bioscience, Food Science and Human Wellness. Most of his research is focused on food chemistry and nutrition, food safety, especially the structure and bioactivity of polysaccharides from food resources, dietary fibre, basic research and industrialization of probiotic fermented fruits and vegetables. So far, he has played a leading role in many scientific and technological projects sponsored by the National Natural Science Foundation of China and the Ministry of Science & Technology of China. Moreover, he has published 5 books as editor-in-chief and more than 100 papers in international journals.